The purpose of this study is to examine the construction of mathematical modelling problems process in the content of financial literacy. It is also aimed to create design proposals for construction of mathematical modelling problems. A design based research method was used in this study. The participants were three seventh grade students, six finance experts and nine mathematics education experts. Data collection tools were transcription of video and tapes group discussions, presentations and worksheets during mathematical modelling activities, and participant experts’ feedback form about mathematical modelling problems. There were three stages in this study. First stage was application of preliminary study. This stage gave information about convenience of problems to grade level, students’ timing for solution of problems, clarity of problems and students’ background about content. In second stage, finance experts commented on convenience of mathematical modelling problems to financial literacy standards. In third stage, mathematics education experts commented on convenience of problems to students’ grade level, mathematical modelling principles and seventh grade mathematics lesson objectives. They also gave suggestion on progress. The frequency value of theme in feedback forms was calculated and experts’ expressions were given as citation. It was given suggestion about stages and application of the design guide. Bu çalışmada yedinci sınıf seviyesinde finansal içerikte matematiksel modelleme problemlerinin yapılandırma sürecinin incelenmesi amaçlanmıştır. Matematiksel modelleme problemlerinin yapılandırılmasına yönelik tasarım önerisi oluşturulması hedeflenmiştir. Araştırmada tasarım tabanlı araştırma yöntemi kullanılmıştır. Çalışmanın katılımcıları üç yedinci sınıf öğrencisi, altı finans uzmanı ve dokuz matematik eğitimi uzmanından oluşmaktadır. Çalışmanın veri toplama araçları yedinci sınıf öğrencilerinin matematiksel modelleme etkinlikleri süresinde videolarının ve ses kaydının transkiribi, öğrenci çalışma dokümanları, uzman katılımcıların görüş alma formlarıdır. Çalışma üç aşamadan oluşmaktadır. Birinci aşama ön uygulamanın yapılması aşamasıdır. Bu aşama, matematiksel modelleme problemlerin sınıf seviyesine uygunluğu, öğrencilerin zamanlamaları, problemlerin anlaşılırlığı ve öğrencilerin bağlam hakkındaki bilgileri konusunda değerlendirmeler sunmuştur. İkinci aşamada finans konusunda uzman kişilerden; matematiksel modelleme problemlerin finansal okuryazarlık standartlarına uygunluğu konusunda görüş alınmıştır. Üçüncü aşamada ise matematik eğitimi uzmanları matematiksel modelleme problemlerin sınıf seviyesine, matematiksel modelleme ilkelerine ve yedinci sınıf matematik dersi kazanımlarına uygunluğu konusunda görüş bildirmişlerdir. Görüş alma formundaki maddelerin frekans değerleri hesaplanmış ve uzmanların ifadelerinden alıntılar yapılmıştır. Araştırmada tasarım rehberinin aşamalandırılmasına ve uygulanmasına yönelik önerilerde bulunulmuştur. Aztekin, S. & Şener, Z.T. (2015). The content Analysis of Mathematical Modelling Studies in Turkey: A Meta-synthesis Study. Education and Science, 40 (178) Bernheim, D., Garrettand D., & Maki D., (2001). Education and saving: The long-term effects of high school financial curriculum mandates. Journal of Public Economics, 85, 435-565. Berry, J. & Houston, K. (1995) Students Using Posters as a Means of Communication and Assessment. Educational Studies in Mathematics, 29, (1), 21-27 Published by: Springer Stable URL: http://www.jstor.org/stable/3482829 . Blomhøj, M. & Jensen, T. H. (2003). Developing mathematical modelling competence: conceptual clarification and educational planning. Teaching Mathematics and Its Applications , 22(3), 123-139 Carlson, M., Larsen, S., & Lesh, R. (2003). Integrating models and modeling perspective with existing research and practice. In R. Lesh & H. M. Doerr (Eds. ), Beyond constructivism: Models and modelling perspective on mathematics problem solving, learning, and teaching (pp. 465-478). Mahwah, NJ: Lawrence Erlbaum. Cobb, P., Confrey, J., diSessa, A., Lehrer, R. ve Schauble, L. (2003). Design experiments in educational research. Educational Researcher, 32(1), 9–13. Cobb, P., Confrey, J., diSessa, A., Lehrer, R. ve Schauble, L. (2003). Design experiments in educational research. Educational Researcher, 32(1), 9–13. Cole, S., T. & Sampsonand B. Z. (2011). Pricesor knowledge? What drives demand for financial services in emerging markets?. The Journal of Finance, 66 (6),1933-1967. Creswell, J. W. (2003). Research design: qualitative, quantitative, and mixed method approaches. Thousand Oaks, Calif, Sage Publications. Crouch, R., & Haines, C. (2004). Mathematical modelling: Transitions between the real world and mathematical model. International Journal of Mathematical Education in Science and Technology , 35(2), 197-206. Gravemeijer, K. (1999). Emergent Models May Foster the Constitution of Formal Mathematics. Mathematical Thinking and Learning, 1(2), 155-177. Greer, B. (1993). The mathematical modelling perspective on world problems. Journal of Mathematical Behaviour, 12, 239-250. Haines, C. & Crouch, R. (2001). Recognising constructs within mathematical modelling. Teaching Mathematics and its Applications, 20 (3): 129-138. Haines, C., Crouch, R., & Davis, J. (2000). Mathematical modelling skills: A research instrument (Technical Report No. 55). Hatfield, UK: University of Hertfordshire, Department of Mathematics INFE. (2009). Financial education programmes in schools: draft comparative analysis of selected financial education learning frameworks: international network on financial education. Jensen, T. H. (2007). Assessing Mathematical Modelling Competency. In C. Haines, P. Galbraith, W. Blum and S. Khan (Eds. ), Mathematical Modelling Education, Engineering and Economics (ICTMA12). pp. 141-148. Chichester: Horwood. Kuzu, A.,Çankaya, S., Mısırlı, Z. A. (2011).Tasarım Tabanlı Araştırma ve Öğrenme Ortamlarının Tasarımı ve Geliştirilmesinde Kullanımı. Anadolu Journal of Educational Sciences International, July 2011, 1(1) Lawshe, C. H. (1975). A quantitative approach to content validity. Personnel Psychology, 28, 563–575. Lesh , R.A., & Doerr, H. (2003). Foundations of model and modeling perspectives on mathematic teaching and learning. In R.A. Lesh and H. Doerr (Eds. ), Beyond constructivism: A models and modeling perspectives on mathematics teaching, learning, and problem solving. Mahwah, NJ: Lawrance Erlbaum. Lusardi, A. (2009), U.S. Household savings behavior: the role of financial literacy, information and financial education programs, InC. Foote, L. Goetteand S. Meier (eds. ), Policy making Insights from Behavioral Economics, Federal Reserve Bank of Boston, pp. 109-149. Milli Eğitim Bakanlığı. (2009). İlköğretim matematik dersi 6-8. sınıflar öğretim programı ve kılavuzu, Ankara: Yazar. Merriam, S. B. (1998). Qualitative Researchand Case Study Applications in Education (second edition). San Francisco: Jossey-BassPublishers Miles MB, Huberman M. (1994).Qualitative Data Analysis: A Sourcebook of New Methods. 2. Beverly Hills, CA: Sage Publications Niss, M. & Jensen, T. H. (eds) (2002). Kompetencer og matematiklæring – Ideer og inspiration til udvikling af matematikundervisning i Danmark, number 18 in Uddannelsesstyrelsens temahæfteserie, The Ministry of Education, Copenhagen, Denmark. Cf. http://nyfaglighed.emu.dk/kom. OECD, (2005). Improving Financial Literacy Analysis of Issue and Policies. OECD, (2012). Guidelines on financial education at school and guidance on learning framework. Schoenfeld, A. H. (1982). Some thoughts on problem-solving research and mathematics education. In F. K. Lester And J. Garofalo (Eds.) Mathematical problem solving: issues in research (Pp. 27-37). Philadelphia: Franklin Institute Press. Veneziano L. ve Hooper J. (1997). A method for quantifying content validity of health-related questionnaires. American Journal of Health Behavior, 21(1):67-70. Wang, F. & Hannafin, M. (2005). Design-based research and technology-enhanced learning environments. 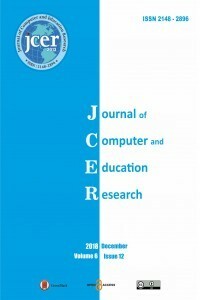 Educational Technology Research and Development, 53(4), 5-23. Wang, F. ve Hannafin, M.J. (2005). Design-based research and technology-enhanced learning environments. Educational Technology Research and Development, 53(4), 5-23. Yurdugül, H. (2005). Ölçek Geliştirme Çalışmalarında Kapsam Geçerliği İçin Kapsam Geçerlik İndekslerinin Kullanılması XIV. Eğitim Bilimleri Kurultayı, 28-30 Eylül, Pamukkale Üniversitesi, Denizli Zbiek, R. M. & Conner, A. (2006). Beyond Motivation: Exploring mathematical modelling as a context for deepening students’ understandings of curricular mathematics. Educational Studies in Mathematics, 63, 89–112.